The sophistication and proliferation of cyber threats – viruses, ransomware, DDoS attacks and more – has grown startlingly. Organizations of every type are now at risk, not just those reliant on transactional websites. DDoS attacks persist, but now vulnerability exploits are the new 'silent assassins' taking advantage of the increased opportunities presented by the expanding online footprints of global enterprises. 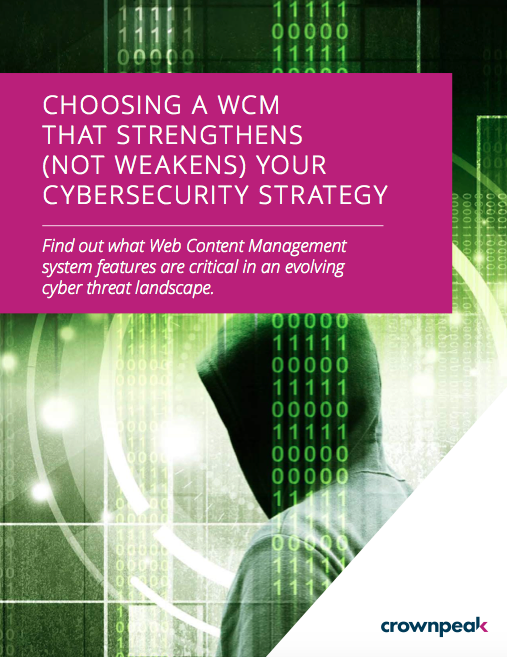 In this threat landscape, choosing the right Web Content Management (WCM) platform is crucial to protecting an enterprise against attacks and their consequences.